Ranchi: The district education office is hoping for cent percent enrolment in private schools under the BPL quota in the new academic year. The office has received over 1,000 applications for 817 seats. The Right to Education Act makes it mandatory for every private school to have 25% seats reserved for students from economically backward families who are entitled to free education. There are 64 private schools in the city registered under the act. Only 447 seats were filled in 2015-16. The education department has decided to pay Rs 425 for each BPL student to encourage schools to take in more poor children. To add to the incentive, the government will also reimburse costs that the schools incurred for BPL students in the past four years. “All schools that followed RTE guidelines during admission are being reimbursed. The DCs of every district have been asked to send the department a list of such schools and their dues. We have already reimbursed around Rs 5 crore for 2014-15 and 2015-16. A small amount for the year 2013-14 and 2012-13 is yet to be reimbursed,” Patnaik said. Meanwhile, around 50 applications for admission in minority schools, like St Xavier’s and St Thomas, also reached the DSE office, but when the forms were forwarded to the respective schools, the administration returned them. “As per the Supreme Court’s direction, minority schools do not come under the ambit of RTE Act in case of BPL admission… so we cannot legally force them to admit poor students. However, we have requested them to admit BPL students on the grounds of social responsibility,” said Patnaik and added that the minority schools will also be reimbursed for admitting BPL students following the admission guidelines. BOKARO: The district administration has taken a tough stand against public schools directing them to comply with the Right to Education (RTE) Act. The move comes amid complaints of RTE norm violations by private schools in Bokaro. The district has in the past five years seen several protests against the exorbitant fees charged by the schools. Bokaro deputy commissioner (DC) Rai Mahimapat Ray made an effort to solve the issue by holding a meeting with the officials of the education department and principals for proper implementation of the RTE Act before the commencement of the new academic session. Representatives of 29 non-aided private schools, which come under purview of RTE in the district, participated in the meeting held on Tuesday. The DC instructed the principals to strictly adhere to the RTE guidelines while admitting children from the weaker sections at the entry- level class. 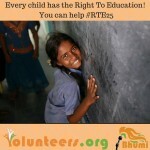 The RTE Act entails that schools must provide 25% reservation to children from the weaker section. Those children whose family income is within 72,000 are entitled to this privilege. “As many schools are situated in the industrial town where there is no notified slum within a radius of one kilometre, the institution should admit children from a radius of up to three to six kilometres,” said the DC. A schedule related to the beginning of admissions of the poor children on 25% seats in the schools has been announced by the DC. Ray said the principals were asked to stop charging re-admission fees or any other charges under heads like activity fees, establishment charges, development charge, miscellaneous expenditure, etc from the students. The screening test of parents during the admission should also not be taken by the schools. They should adopt lottery system for admissions in entry level. “Injustice with parents will not be tolerated, especially in connection with violation of RTE. A four-member committee headed by the district education officer has been constituted to monitor the activities in this regard,” said Rai. Ranchi: It is that time of the year when parents will be queuing up outside schools to buy admission forms for their children. The beginning of admission season has also renewed the debate on enrolment of students from below poverty line (BPL) families in private schools. 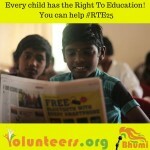 As part of the Right to Education (RTE) Act, 25% of the seats in every private school must be reserved for BPL students. The Act also mandates providing free education to these students. Sixty four private schools in the district are registered under the Right to Education (RTE) Act. In the academic year 2015-16, of the 817 seats in the registered private schools only 447 were filled. The reason behind the 50% seats under BPL category remaining vacant was the reluctance of schools in taking these children in and students being shy of seeking admission. Many schools did not want to enroll the BPL category students on the available 25% of the seats because they would not have got any fees from them. On the other hand, many students belonging to BPL category did not want to join private schools because they were not provided free books and uniform like government students from government schools. However, the district superintendent of education (DSE) of Ranchi, Jayant Mishra said this year 100% BPL admission is expected. To ensure that private schools do not face financial losses by admitting BPL students, the government has decided to reimburse Rs 425 per student to the schools admitting BPL students. “This scheme was not available till the previous admissions so the schools were a little reluctant to admit BPL students. Now that the money will be reimbursed, they shouldn’t have a problem. We have also directed all the schools to provide free books and uniforms to the BPL students so that the parents do not have to suffer financial burden,” Mishra said. As per rules, the forms of BPL students are submitted to the schools and the school forwards them to the DSE’s office for verification of the BPL status. After verification, the final list for the students to be admitted is sent back to the respective schools and admissions are done accordingly. Jamshedpur : The economically poor students have not received admissions in private English medium schools under Right to Education (RTE Act, 2009). Concerned over the situation, the members of Jamshedpur Parents Association today staged demonstration DC office and handed over a memorandum to DC. Umesh Kumar, president, Jamshedpur Parents Association, said that the parents of these BPL students are facing huge problems in seeking admission. There are over dozen-odd schools, including few elite schools, which have refrained from providing admissions to BPL students. There are about 35 English schools in the city. In the light of more than 70 percent of the seats reserved for the BPL candidates remaining vacant the parents of the general category candidates are demanding admission of their wards in the reserved seats but the schools have a different opinion. The BPL parents, on the other hand, alleged that ineffective campaign by the RTE cell in the district education department has prevented the target section from seeking the reservation benefit. “I suspect under the garb of six months moratorium (on BPL seats) the schools will bargain with the (general category) parents to admit their wards, once the admission hype subsidizes,” said Dr Umesh Kumar.